This painting sold before it was off of the easel. 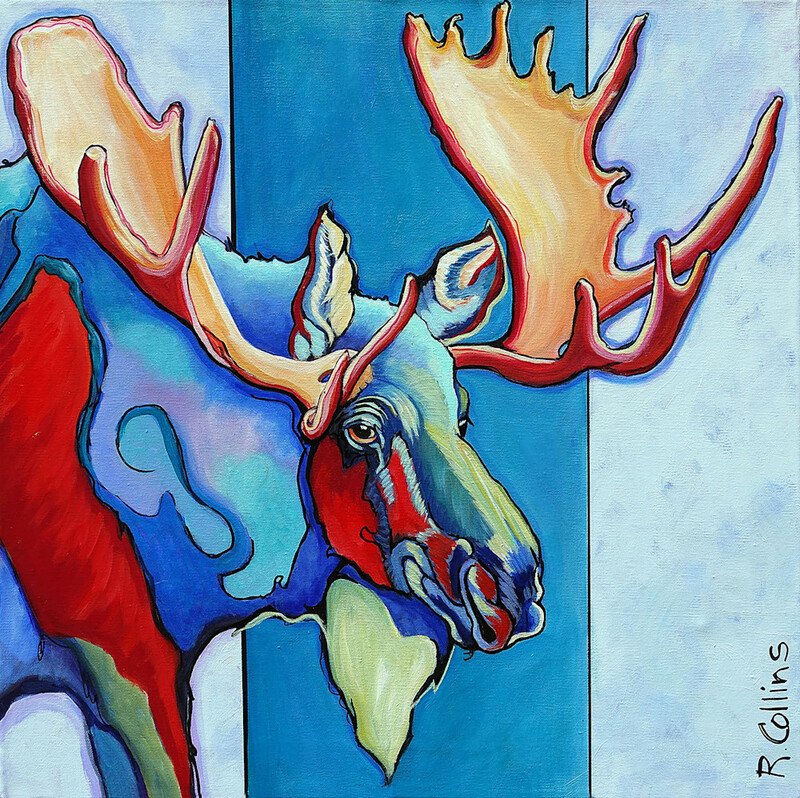 “Moose on the Loose” is enjoying his new home in a lovely log cabin overlooking Lake Superior in Michigan. I am so happy to have a new website where I can offer open edition prints on canvas, fine art paper, metals and acrylic supports to collectors who also enjoy giclee reproductions when the originals are sold.